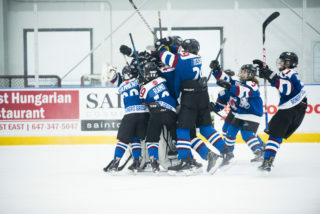 Toronto Marlboros, Vaughan Kings, Toronto Young Nationals, Mississauga Reps, Mississauga Rebels, and Toronto Jr. Canadiens all advance to the quarter-finals. 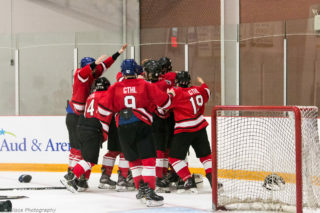 The Toronto Titans started off the final day of round-robin action with a 3-1 loss to OMHA champs, the Whitby Wildcats. Titans forward Alex Dominique opened up scoring with a powerplay goal in the first, however, the Titans would fail to answer three second period Whitby goals. The Titans will play NOHA at 3:00 p.m. in their final game of the round-robin. The Mississauga Senators ended their OHL Cup round-robin run on a losing note. The early morning loss to TPH eliminated the Sens from quarter-final contention. The Sens failed to record a win in their four tournament games. The Toronto Marlboros threw 35 shots on net in their 4-2 quarter-final clinching win against the Thunder Bay Kings. Graeme Clarke netted the game-winning goal for the Marlboros who will face the undefeated London Jr. Knights in their quarter-final game. 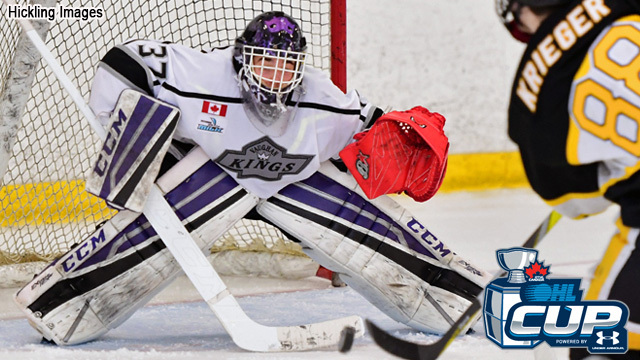 The Vaughan Kings helped earn goaltender Christian Sbaraglia a shutout win in their final game of round-robin competition. 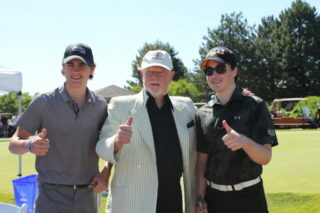 The Kings finished second in the Lindros division with a 2-0-2 tournament record. They will face the Mississauga Rebels in the quarter-finals. The Mississauga Rebels will face the Vaughan Kings in a quarter-final matchup on Saturday after finishing first in the Nash division. 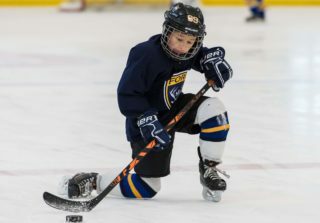 Dylan Jackson scored a pair of goals, helping lift the Rebels to a win over Elite Hockey Group – solidifying their first place position. A late third-period goal crushed the Jr. Canadiens hopes of securing a spot in the quarter-finals. A win by TPH later today would eliminate the Jr. Canadiens from contention. TPH will be taking on the undefeated London Jr. Knights. 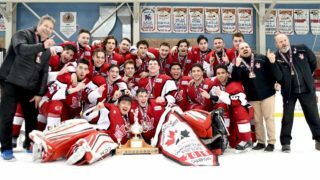 After opening the tournament with a loss to the Rebels, the Nats bounced back to win three straight, earning them a spot in the quarter-finals on Saturday. 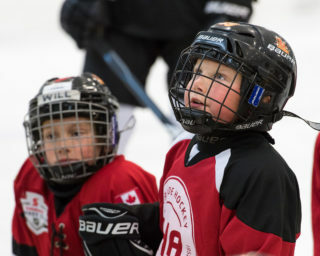 The Nats will face off against the undefeated OMHA champs, the Whitby Wildcats. A pair of unanswered goals in the second and third periods helped the Mississauga Reps secure the top spot in the Shannahan division. The Reps will face the second place team from the Subban division in the quarter-finals at 10:30 a.m. on Saturday. The Toronto Titans finished their OHL Cup stint with a 1-3-0 record after a loss against NOHA – a team who finished the tournament undefeated, (1-0-3) but failed to qualify for the quarter-finals.